It's hard to imagine a more fascinating and controversial dog than the pit bull. Loved and feared in equal measure, the pit bull has an interesting story that continues through today. The pit bull story starts in England. For years, the pit bull was a friend to farmers. More than a loyal pet, it was also a working dog, charged with the responsibility of protecting its master from livestockparticularly bulls. When a farmer planned to castrate or slaughter a bull, the dog would be at his side. If the bull threatened the master, the pit bull would clamp his strong jaw on the nose of the beast, holding on and fighting until order was restored. That instinctive fight opened the door for the horrific treatment of the pit bull. Bear baiting and bull baiting attracted crowds and gamblers until the English government took action to end the displays in the nineteenth century. Illegal dog fighting, however, continued to grow as gamblers and dog owners saw an opportunity to profit from the bloodshed. The pit bull came to America during the middle of the nineteenth century. As the dogs were bred for greater size, they became known as the American Pit Bull Terrier. The pit bull remains a popular breed in the United States today and its popularity is rivaled only by the distaste some feel for the allegedly violent animal. The pit bull is a never ending source of controversy. Dog fighters continue to exploit the dog and poor owners often create "monsters" that have turned public opinion against what was once considered a truly "All American" dog. The temperament of the pit bull is directly related to the level of training and care the dog receives. You can find pit bulls on both extremes of the behavior continuum. While some of the dogs are certified for therapy work and police dogs, others a raised to become deadly aggressors. Even though pit bulls are known to befriend and protect other animals, others are involved in fatal attacks on people. If an owner fails to appropriate desex and train a pit bull, behavior problems can become quite extreme and the dog may actually be dangerous. 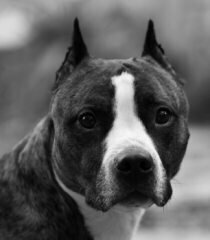 A responsible owner, on the other hand, can help a pit bull to reach its potential as a loyal, loving and safe animal. Pit bulls can vary considerably in size. There are many adult specimens that weigh only a little over twenty pounds. 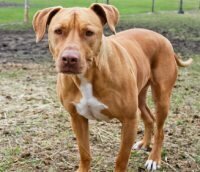 Likewise, there are some pit bulls that will tilt the scales at weights in excess of one hundred pounds! Generally, pit bulls stand approximately twenty inches tall. It's worth nothing that both extremes of size are relatively uncommon. Most pit bulls will fall somewhere near the middle of the potential size spectrum. Pit bulls have a life expectancy of approximately twelve years. Generally speaking, they are a healthy, sturdy and strong animal. Nonetheless, pit bulls are at some risk of some relatively common health disorders. These include hereditary cataracts, heart disease, various allergies and hip dysplasia. Pit bulls are active dogs, but they can be raised in small homes and apartments if sufficient exercise opportunities are made available. If you're considering the purchase of a pit bull, understand that the dog will be consistently activeeven when indoors. That makes consistent and substantial exercise a key component to successfully raising a pit ball. They require long daily walks and additional exercise opportunities. Put bulls are easy to groom, as they have a very short coat. Pit bulls do shed, but they are generally considered a relatively low maintenance dog with respect to grooming. Proper dog training is essential when raising a pit bull. A failure to successfully raise a pit bull isn't merely a disappointment - it will also produce a potentially dangerous menace. As such, pit bulls are a poor choice for those who are unwilling to spend the time and effort to successfully raise the dog. Training should, of course, be centered on rewarding positive behavior and on building a trusting relationship between master and pet. Pit bulls are not naturally mean animals and they are very receptive to appropriate training techniques. Is the Pit bull good enough to be a dog hero? Dog food secrets. Shocking video evidence of dying dogs!